...and fashion architect is already two years old! I will be celebrating my second blog birthday with a present to you inspired by my second post, about the amazing illustrator Laure Laine and how her whimsical girl drawings were making me feel totally untalented. Well, I sure recognize talent when I see some! When I read that she was doing a collaboration with H&M last November, my heart jumped (and I wasn't the only one) but I failed to get to the stores on time in order to grab one myself. Until the January sales that is, when completely out of the blue I dug out two Laure Laine tank tops from a pile of clothes at H&M in downtown Athens! Needless to say, I got both. And love grows when it's shared. 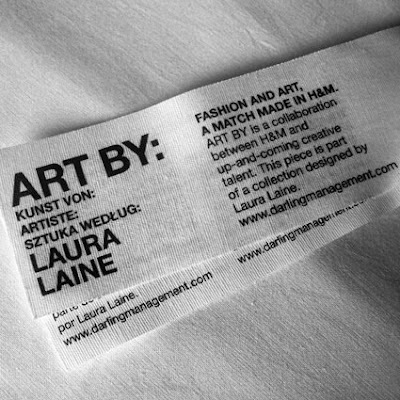 So, celebrating these last two wonderful years with you, I will be giving away a Laura Laine for H&M tank top to one lucky reader. All you have to do is leave a comment below, making sure I will be able to contact you (by email or blog). The winner will be selected randomly in a few days. ti thelw, ti thelw, ti thelw!!! Na ta xiliasei to blog! happy blog day!! 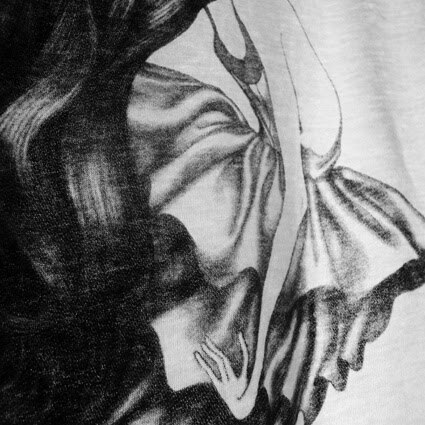 !this tee is to die for hope i 'll be lucky!!! Happy bday "Fashion "Architect"!! This is the first comment I leave you after aolmost a year that I've been following you and truth is that I didn't expect to do so if it wasn't for that pic. I loved those "girls" the moment I show them and actually used one of them for my fb account as a profile pic. Nice to see you love them as well...All the best! Euxomai polla akomi stylish posts..to tee einai teleio,na dume poia tuxeri tha to kerdisei! Emeis se euxaristoume kai esena k oles tis fashion bloggers gia tin parea, empneusi kai motivation pou ta posts sas kathe fora mas dinoun!! ekpliktiko tee kai since i love tank tops, de ginotan na min afisw ena post gia tin "klirotida" !! ok..den xreiazetai na pw kati allo....may the BLOG GOD bless me and make me win this tee!!! after all...you know better than everyone else how much I want it!!! Love the tank tops! She si indeed so talented! Happy blogiversary! Efxomai sto blog sou na ta ekatostisei! To t-shirt einai theiko,to thelw!!! & try something new everyday ! Happy BBday!! :) keep up girl!! Happy blog birthday! I hope many amazing and stylish years are about to come! Happy Birthday! I started reading blogs because of you, I stumbled across your blog and immediately loved it, you seem to be a great person, I love your outfits and the greek surroundings make me think of summer every time I read your blog! just dropped by to wish you a happy birthday! (don't include me in the giveaway) and of course keep up the good work ! Happy 2nd Birthday!!!!! 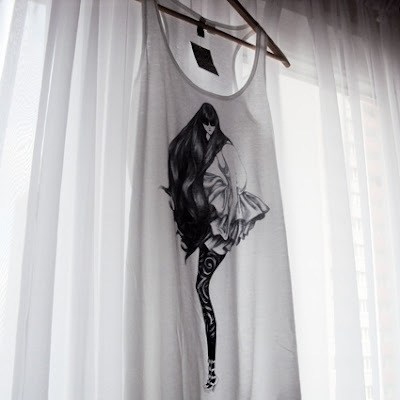 The tank top is so great. I love it. Awesome! Happy Blog Bday! Hope to see you blogging more too :) those tanks are delightful, to say the least. and thanks for the giveaway, the tee is so cute! Να έχεις μια χαρούμεν και δημιουργική συνέχεια Λοπάκι! happy happy blog day luv! fashion architect was one of the reasons that i was encouraged to start blogging! Να ζήσεις blog, και χρόνια πολλαααα...! Happy Blog-birthday from my me too!!!! Happy blog bday!! Me polla perissotera post (oxi oti exo parapono!) kai me ateleioti empnefsi pano ap ola!